We will continue with multiplication. ​The first week we will work on order of operations, review Chapter Two, and take the Chapter Two assessment. We will begin Ch 3 which is to multiply 2 digit by 2 digit numbers. 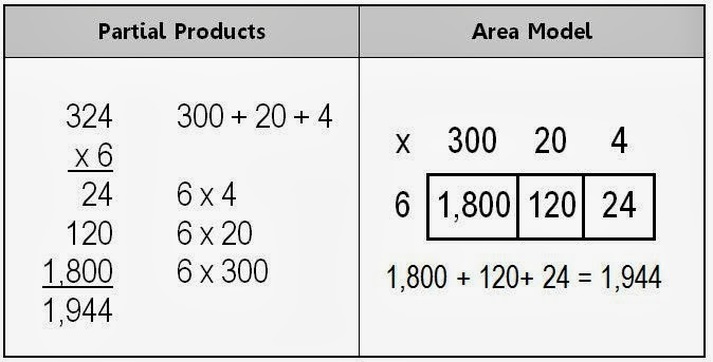 We will use the area model and partial product to multiply. We will also use estimation to check our answers.